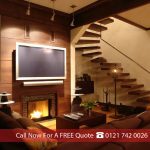 Sky Digital TV provides digital home entertainment to millions of homes in and around Stratford and its excellent range of digital TV channels and interactive digital services make it one of our most popular installation services. We can offer you a variety of options suited to all budgets to help you receive Sky TV or Sky+ HD and a wide selection of other digital channel packages which can be tailored to your requirements. Midland Digital are specialists in all aspects of Sky and Satellite installation across Stratford. To enjoy Sky TV in Stratford you will need a satellite dish and Sky receiver in your home so that you can receive all the great channels that it has to offer. Sky has approximately 10 million subscribers across the UK and is the country’s largest satellite TV broadcaster by some distance. The huge popularity of Sky can be attributed its exciting and diverse range of channel content with literally something for everyone across the genres of Movies, Entertainment, Arts, Factual, Sports etc. 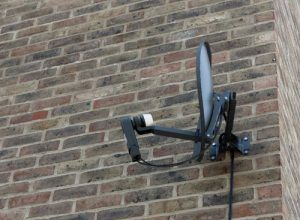 Midland Digital are specialist Stratford Sky installers and we have many years’ experience in providing Sky Satellite installation services to people across Stratford. We are also authorised Sky agents, which means we can provide you with a Sky contract and satellite dish at the same time, saving you time, hassle and money. 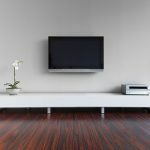 If you want to enjoy Sky in Stratford throughout your home then we can also provide you with additional cabling that enables you to watch Sky in different rooms and enjoy a multi-room TV experience. This can be achieved by having sensors in other rooms or simply creating a hub for your Sky box and arranging for HD signals to be sent out to different areas of your property. If this is of interest then we would be happy to take you through the options available and advise on what would be the best solution for your home. To benefit from Sky Multiroom, you will need the right subscription and we can arrange all of this for you. At Midland Digital our Sky Satellite and service packages are in high demand in Stratford so if you need any advice about Sky TV, the variety of TV bundles that are available and how you can arrange Sky installation in Stratford, then please contact us now.